Unlike most surveys, we asked several open-ended questions. There were hundreds of helpful comments. Here is a representative list of recommendations by adoptive parents and issues that still need to be addressed. • The need to give parents a list of what type of interventions are available, what issues kids have and the order/timing .Screens need to continue throughout several years. • Sensory issues, speech/language, dietary/toxin, psychology/attachment, infant reflexes and sleep issues screening in first year with learning assessments in subsequent years. • Pre-adopt and post-adopt education of all of these assessments. • Concern for cost of therapies. • Speech screening in native language within first month. • Respite care as an option in the first few months after gaining custody of child to ease transition. • Educate pediatricians on possible issues in adopted children. • Audio and sensory screens before child begins school. • Older children need counseling immediately for how to function in family setting. • Details about behavior issues after being in orphanage. • Specifics on how to address sexual abuse prior to joining family. • Alcohol related Neurological Disorder (ARND) what to look for, early assessment. • Break down of disorder frequency by country. • Missed/delayed diagnoses of Post traumatic stress disorder/assume child has PTSD. • Not enough education about Post-Adoption Depression (PAD). • Insurance not covering developmental therapy. • Want advocate or case manager to go to for customized explanations for child. • Figuring out agency’s honesty/accountability/getting money back for failed adoption. • Better list of parent support groups. • Assertiveness training for parents since they need to advocate for their child. • Legal issues, such as falsely being accused of abuse. • Helping the parents, not just the children. • Support in navigating birthfamily relationships. • Handling serious attachment issues. • All aspects of dealing with older children. • Vaccine scheduling for the internationally adopted child. • Continued support (including financial) from adoption agencies. • Issues stemming from child’s history of sexual abuse. • Trauma from adoption and life before adoption. • Central website for post-adoption resources. • Finding/connecting with birthfamily in international adoptions. • Parental stress/depression post adoption. • Post adoption subsidies, grants for issues that are not detected immediately after adopting. • Dealing with situation where it has been found that your child was trafficked/sold into adoption. • Developmental stages post adoption for kids of all ages. • Identity issues, especially in transracial adoptions. • Peer mentors for adoptive parents. PEAR has asked the following questions to Assistant Secretary for Consular Affairs, Janice L. Jacobs during the Ask the State Department Celebrate National Adoption Month open questioning period that ends November 30. The State Department will be selecting questions and answering them on their website in December. 1. How can China be considered "Hague-compliant" with open trafficking rampant enough for their government to set up a website to find the parents for trafficked children who have been recovered amid reports that the CW Centers themselves routinely offer hundreds of dollars to Mother's willing to sell their children? 2. How can India be considered “Hague-compliant” when their own laws state CARA may charge ONLY $3000 total in foreign adoption fees yet there is not a single agency in the world that pays them that? In reality no agency can get Cara approval to operate in India without agreeing to donate thousands of dollars for both services and "humanitarian aid” programs. 3. Given the facts that JCICS is a financial supporter of COA, adoption service providers sit on COA's board of directors, and the accreditation process and review is not transparent, how can we have confidence in COA's ability to make unbiased decisions to accredit agencies? Despite numerous promises to do so, neither COA nor DOS have provided publicly accessible disclosure of agencies with pending applications. Why is this? 4. To date, adoptive parents, adoption service providers and adoption advocacy and reform groups have filed numerous complaints against Hague accredited agencies, some dating back over a year yet, according to a recent quote by Richard Klarberg, none of the complaints leading to investigations have been resolved. Is DOS planning on providing assistance to COA in completing these investigations in a timely manner and disclosing the outcomes to the public? What about cases where COA is unable to investigate allegations of Hague violations in foreign countries? Will DOS be providing assistance? 5. Why is the US continuing to allow adoptions from non-Hague countries and are there any plans to demand Hague compliance in the foreseeable future? 6. Will the US be one of the four pilot countries when Guatemala re-opens? In November 2009, the International Social Service (ISS) released its "Report on Adoption from Vietnam". The ISS is "an international non-governmental organisation that has consultative status with the United Nations Economic and Social Council (ECOSOC), as well as with UNICEF and other intergovernmental bodies." ISS helps individuals, children and families confronted with social problems involving two, or more, countries as a consequence of international migration or displacement. The report was commissioned by the Department of Adoption of the Ministry of Justice of Vietnam and UNICEF Vietnam to assist the Vietnamese government in formulating an adoption system in compliance with the 1993 Hague Convention on Intercountry Adoption. The adoption of Vietnamese children in context. Main areas of concern in relation to alternative care in Viet Nam including separation of families, adoption and alternative care. Main areas of concern in relation to adoption in Viet Nam, including determination of the need for adoption, prioritizing domestic adoption, matching, and decision-making. Characteristics of Vietnamese children adopted abroad including age, disabilities, minorities, adopters’ expectations. Impact of foreign actors in intercountry adoption practices including governments and central authorities of receiving countries in developing, coordinating and oversight of programs; adoption agencies accreditation, monitoring, influence over policies and influence of money; financial questions of costs, fees, humanitarian aid requirements. Addenda include the intercountry adoption procedure for the non-identified child and the proposal for regulations on foreign adoption agencies in the republic of Viet Nam prepared by International Social Service. The Kyrgyz government stopped processing all intercountry adoptions in October 2008 due to reports of corruption and fraud in the adoption process. The Kyrgyz authorities are conducting a criminal investigation into these allegations. At present, the Kyrgyz government is not processing any adoption cases, including at least 65 adoptions by American families that were already in progress when the halt was announced. The Department of State (the Department) has urged the Kyrgyz government to complete its criminal investigation and resolve the pending cases so that eligible children can be placed in permanent homes. Many families have been waiting for over a year to complete their adoptions, and many of the children have serious medical problems. The Department has repeated this message to Kyrgyz officials in Washington and through U.S. Embassy Bishkek. Department officials raised the pending adoptions in a November 12 meeting with the Kyrgyz Ambassador to the United States, and with the Kyrgyz Foreign Minister during his visit to Washington on October 5. The Department also raised the visibility of this issue, and addressed questions and concerns expressed by Kyrgyz officials and shared by some Kyrgyz citizens, through outreach programs. A U.S. adoption expert visited the Kyrgyz Republic in June to share her knowledge with Kyrgyz officials, nongovernmental organizations, journalists, and others. In May, the Department sponsored an adoption-themed study tour to the United States for three senior Kyrgyz officials. During the trip, the Kyrgyz officials met with representatives of the families with pending cases as well as some Kyrgyz children who had been adopted by Americans. In addition to these efforts, we have encouraged the Kyrgyz government to strengthen safeguards in the adoption process and eventually accede to the Hague Adoption Convention. The Kyrgyz Parliament is considering a draft bill to reform the adoption process. It is unclear, however, if or when legislation will be passed to allow the completion of the pending cases and the processing of new ones. On November 13, the Kyrgyz Parliament held a closed hearing on intercountry adoption at which experts made presentations. It is our understanding that after the hearing Parliament decided to extend the deadline for government agencies to continue research on the subject. Parliament plans to hold another hearing on adoption by the end of February 2010. We will continue to engage the Kyrgyz government on this issue and will provide updates on this site as new information becomes available. Analyses of testing, and interventions including parenting techniques will be available in 2010. Here are some general results. We asked adoptive parents about ninety different interventions. Speech therapy was the most commonly used intervention(39%). Occupational therapy with or without sensory processing specialty was used in 30% of the adoptees. Corrective lenses were used in 21%, physical therapy in 12% and Handwriting without tears program in 9% of the adoptees. We asked adoptive parents about biomedical testing. Food allergen testing was the most prevalent with blood testing being the most common of those. Heavy metal testing was the second most common type of testing and inhalant allergy testing was the third most common type of testing. We asked adoptive parents about supplements, nutritionals and chelators. Twenty-two percent used fish oil, thirteen percent used multivitamin ,twelve percent used melatonin, eleven percent used a form of probiotics and nine percent used vitamin C.
Next week we will be sharing a summary of adoptive parent concerns captured in our comment section. Under current law, children adopted from countries with which the Hague Convention on Intercountry Adoption is in force for the United States are required to present documentation of having received certain required vaccinations and screenings, including hepatitis B. Partial results are as follows. Thirty-four percent of respondents had their child screened or used mental health or attachment services. Of those, 86 percent pursued this based on their own assessment and 19 percent had a primary care doctor recommend it. Of those using mental health services (multiple professionals sometimes were selected), 42 percent used a psychologist with attachment expertise, 39 percent used a social worker with attachment expertise, 29 percent used a psychologist with no attachment expertise, 25 percent used an educational psychologist, 23 percent used a psychiatrist with no attachment expertise, and 21 percent used a social worker with no attachment expertise . Of those using mental health services, the conditions that the respondents’ children were labeled with were as follows: 41 percent labeled as ADHD and 5 percent ADD, 31 percent as PTSD, 25 percent as an attachment disorder, 21 percent as generalized anxiety disorder, 18 percent as RAD, 18 percent as ODD, 13 percent as ARND/FAS/FAE, and 11 percent as bipolar. Twenty-one percent were not diagnosed with a condition. For some respondents, the comment space was not large enough to provide all of the diagnoses. Others had questionable diagnoses or had children that were still in the process of being diagnosed. The following interventions were used: 47 percent used play therapy, 47 percent used rewards systems, 37 percent had parent counseling, 36 percent used behavioral management, 30 percent used some form of parent holding technique, 27 percent used sensory integration techniques, 24 percent used parent support groups, 15 percent used Theraplay, 15 percent used regression with baby bottles, , 13 percent used art therapy ,12 percent used blanket wrap, 12 percent used applied behavioral analysis (ABA). Eighty-eight percent had services provided in an office. Forty percent of parents provided therapies in their home. Cost of therapies/lack of comprehensive mental health coverage are often cited as major barriers to therapy. Thirty-eight percent paused therapy due to cost. Twenty-two percent stopped therapy due to cost. Fifty percent of children were prescribed medicine. Of those, 60 percent have used multiple medications. The most common medications used were clonidine, Ritalin, Strattera, Risperdal, Focalin, Zoloft and Concerta. When asked about positive and negative experiences about mental health providers and interventions, the majority had negative experiences due to expense, not able to find professional that understands the complexity of attachment/ neglect issues, medication side effects and in many cases, great frustration with being lied to or not being fully informed about the mental health condition of the child by adoption service providers or country of origin. The positive experiences were mainly associated with children that have had positive results from use of ADHD medications for ADHD. The negative experiences involved children that have attachment and severe neglect issues. Thirteen percent used a faith based services with seventy–nine percent being satisfied. Seventy-eight percent of respondents have children that are three or older who would be old enough to qualify for a school-based service in the US. Thirty-five percent of those have never had a school-based service. Interventions provided by a school are as follows: 35 percent received a speech assessment, 30 percent received speech therapy, 25 percent received reading assistance, 23 percent received occupational therapy assessment, 20 percent received IQ testing, 20 percent received psychological testing, 19 percent received math assistance, 17 percent received occupational therapy, 17 percent received test-taking modifications, 16 percent received early intervention (public) preschool, 14 percent received English as a second language (ESL) services, 14 percent received homework modifications, 14 percent received special reward system, 12 percent received summer school in a class setting, and 11 percent received screening by a professional outside school system that the school paid for. Of those who had services, 31 percent had a teacher refer to school services, and 18 percent were referred to school services from their Early Intervention services. Not all parents feel that school is meeting their child’s needs. Twelve percent of parents feel that the school should be providing occupational therapy for their child, eleven percent would like organizational assistance, nine percent would like speech therapy, nine percent would like tutor in the classroom, nine percent would like reading assistance and nine percent would like therapy by an outside professional. Thirty-one percent of children have an Individualized Education Plan (IEP). An additional twenty-four percent believe their child should have an IEP. Four percent have a 504 plan. Seventy-five percent feel that the school district respects the privacy of their child. In-depth analyses and complete results will be available in 2010.Next week we will be sharing some testing and interventions results. Where is the JCICS Ethiopia Report? According to information posted on the JCICS website, a team undertook a fact-finding mission to Ethiopia from October 2-October 9, 2009. On October 12, 2009 , the JCICS claimed that a report on their activities would be published soon. See http://www.JCICS.org/Ethiopia.htm . This report, however, has not been published as of today, November 11, 2009. Prospective adoptive parents considering Ethiopia as a viable and ethical country from which to adopt need to have this information in order to make informed choices about both the country program as a whole and individual agencies working there. Adoptive parents and adoptees concerned about unethical practices surrounding their adoptions are also awaiting this report. We hope the JCICS will release the report in a timely fashion, as their delay poses many questions and answers none. Financial planning for expected and unexpected post-adoption issues (health- and education–related) and trusts have been a frustration for some adoptive parents. We asked if agencies, social workers or attorneys provided information prior or after adopting. Twenty-three percent discussed financial planning or trusts prior to adopting with their adoption professional and two percent afterwards. Eighty-eight percent received financial services from their own resources and six percent were unable to get their desired financial services. Sixty-three percent currently feel that they do not need further information about financial planning. Twenty-four percent would like information on 529/educational trusts, eighteen percent on wills; sixteen percent on trusts; fifteen percent on special needs trusts. Ninety percent of people never received information about child life insurance from their adoption professional yet thirty-three percent did try to obtain a child life policy. Of those who applied for one, eighty-nine percent were able to obtain one. We asked adoptive parents what types of financial services should be mandatorily discussed by adoption professionals with prospective /adoptive parents. Forty-one percent feel that financial planning and trusts should be discussed pre-adoption and thirty percent feel it should be discussed post-adoption. For those that internationally adopted (90% of our sample), we asked about the use of international adoption (IA) clinics. Fifty-seven percent of people used IA clinics prior to adopting and thirty-one percent never had contact with an IA clinic or doctor with expertise in international adoption. Furthermore, forty-three percent of parents only corresponded with IA clinic via phone, fax or email, likely to review child referral information. Of those who physically went to IA clinics, thirty-five percent saw a doctor prior to adoption, thirty percent one to two weeks after the child came home, twelve percent saw the doctor three to four weeks after arriving home and ten percent within one to three months after arriving home. Fifty-four percent saw a general pediatrician first, twenty-nine percent saw a developmental pediatrician first, eight percent saw an infectious disease specialist first. Forty-five percent were not referred to any specialist following IA doctor appointment. Referrals to early intervention providers accounted for 16 percent; to speech therapist for 15 percent; to occupational therapist for 13 percent and to audiologist for 10 percent. Eighty percent of those who used IA doctor services rated their experience as good or excellent. Seventy-three percent said that their child’s primary care provider took the child’s past history/adoptive status into account when first examining the child. Primary care providers referred patients to the following types of specialists: speech therapist 18%, early intervention provider 17%, audiologist 12%, pediatric dentist 11%. Eighty-six percent rated their primary care provider services as good or excellent. Eighty-six percent of respondents adopted a child 5 years of age or younger while residing in the US. Of those respondents, fifty-seven percent had their child screened or used their state’s Early Intervention services. Eleven percent of parents contacted Early Intervention before their child even came home. Fifty-two percent contacted Early Intervention services after returning home without a health care provider suggestion. Of those who had their child screened, 60 percent had their child screened for speech, occupational, physical and developmental/educational interventions. The rest did not have assessments in all categories. For those who did not get screening in all four categories, the reasons given were not feeling child needed all the assessments: 43%; childs’ doctor did not feel all assessments were needed: 25%; early intervention services discouraged a full screening: 24%. Seventy percent of those screened in any category qualified for services with speech therapy at eighty-five percent, developmental/education intervention at fifty-two percent, occupational therapy at forty-five percent and physical therapy at thirty-nine percent. Eighty-two percent of those who had services for their child rated their experience as good or excellent. While people from some localities reported excellent services, there is a great inconsistency across the US. There were a number of people who did not get services or had to “fight” to get early intervention. Some of the more common reasons for not having services include: that speech services were denied because the child was learning English, uncertainty of child’s true age led to disqualification, international adoption is not a reason for screening, services not adequate or unprepared for developmental services for children effected by trauma, occupational therapy screening missed sensory issues, some localities base services on income, making it very expensive for the adoptive parent, screening too basic, speech services denied because some localities require a delay in another area before speech services are given, no one to assess in child’s native language, program was full and no more slots were available. Next week we will be sharing mental health, faith-based and school-based services results. On November 3, 2009, Ukraine’s central adoption authority, the State Department for Adoption and Protection of the Rights of the Child (SDAPRC) informed the U.S. Embassy in Kyiv that it was suspending the issuances of referrals for both Ukrainian and foreign adoptive parents to visit Ukrainian orphanages due to the increased incidence of H1N1 in Ukraine. According to this notice, no prospective adoptive parents (either Ukrainian or from other countries) will be allowed to visit orphanages to meet their prospective adoptive children beginning November 3, 2009, until the measures taken by the Ukrainian Government are lifted. These measures include a cancellation of large public gatherings and suspension of school and university classes, but do not include travel restrictions. The SDAPRC will keep all pre-scheduled appointments and the adoptive families will still be able to choose children from the database, but these families will not be able to visit children and start the adoption process in the regions. Alternatively, foreign families may cancel their appointments at SDAPRC (they do not need to do anything special to cancel these appointments) and their appointments will be re-scheduled as soon as the Ukrainian government's temporary measures are ended. As of the posting of this notice, it is unclear how long this suspension will remain in effect, but according to the SDAPRC it may last from three to six weeks, unless the Ukrainian government decides to end the H1N1 measures sooner. According to the SDAPRC, several foreign families with the referrals issued on November 2, 2009, were already denied access to the orphanages. The SDAPRC was required to enact this suspension in accordance with the Decree Number 3813 issued by the Ukrainian Minister for Family, Youth and Sports Yuriy Pavlenko, dated October 30, 2009. This decree was issued based on the Resolution of the Cabinet of Ministers of Ukraine Number 1152, dated October 30, 2009. We will continue to monitor the situation and will post updates as they become available. PEAR’s mission is to provide a voice for prospective and adoptive parents. Join our all-volunteer 501(c)(3) organization to encourage ethics, transparency and support in the adoption process. Your one-time or monthly tax-deductible donation will help us raise $5,000 during National Adoption Month to ensure a “PEAR is in the Chair” in 2010 to represent prospective and adoptive parents in adoption legislation discussions and to participate at conferences worldwide. Click http://www.pear-now.org/join.php to donate via paypal or mail. or pledge a minimum of $10 monthly. 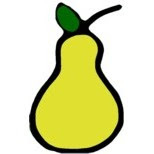 Email membership@pear-now.org to receive a monthly invoice. PEAR began as a grassroots group of adoptive and prospective adoptive parents who came together to discuss the lack of a unified, respected voice for adoptive families. Our membership has grown to include adoptees, adoption professionals, and other persons interested in meaningful ethical adoption reform from the adoptive parent point of view. We believe that the existing system needs strong reforms because it does not represent the best interest of the people most impacted by the system: the children and their families, whether original or via adoption. PEAR conducted a Observational Survey on Adoptive Parents Success, Satisfaction and Types of Post-Adoption Services (POSitive study) from January to August 2009. One entry was completed per child with a potential 129 questions covering the areas of adoption professionals, financial advice, international adoption clinics, early intervention (US only), mental health services, faith-based services, school-based services, testing and other interventions. Articles and statistical analyses will be available in early 2010. On each Monday during National Adoption Month, we will share a segment of the results. This week we will be sharing some demographics and adoption professional results. The survey had 538 fully-completed entries. Ninety percent of entries were about international adoptions and ten percent were about domestic adoptions. Fifty-nine percent of completed surveys were about female adoptees. The top six countries of origin of the adoptees in the sample were Russia (32%), China (15%), Guatemala (10%), US (9%), Vietnam (8%), and Kazakhstan (6%). Ethiopia, India, South Korea and Ukraine each represented two percent of the sample. Thirty-one other countries were also represented. Only 11 percent of families have moved to a different major city since completing the adoption. Thirty-seven percent had other children living in their home at the time of the adoption. Twenty-four percent of adoptees had been labeled as "special needs" by the agency, attorney or sending country. Fifty-four percent had their homestudy conducted by a separate entity than their placing agency/attorney practice. Only 57 percent of those surveyed live in states or localities which require follow-up by adoption professionals. Sixty-seven percent had agencies or attorneys require adoption professional follow-up. Sixty-eight percent of those who had inter-country adoptions had a requirement from the country of origin to have follow-up from adoption professionals. Seventy-eight percent of those who had inter-country adoptions had post-placement reporting requirements. Seventy-six percent of agencies assist in some way with post-adoption reports with the main help being mailing forms (57 percent). Forty-five percent were provided forms and thirty-five percent had assistance with social worker meetings. A small number were provided with translations, phone consults or reminders. The comment section showed that there was displeasure that some agencies did not assist. Our questions about adoption professionals giving contact information to adoptive parents for post adoption support for health, education, financial and emotional/peer support showed that this is not a service that is well-provided to adoptive parents. Peer adoption support group contact information was the most likely category of information given (51% ). Only 32 percent received contact information about early intervention resources, 17 percent received general pediatrician contact information, 16 percent received contact information about legal assistance, 14 percent received contact information about mental health professionals or financial assistance and 13 percent received contact information about educational interventions. A small percent received international adoption doctor contact information or re-adoption information. Next week we will be sharing financial, International Adoption Clinic and Early Intervention results.